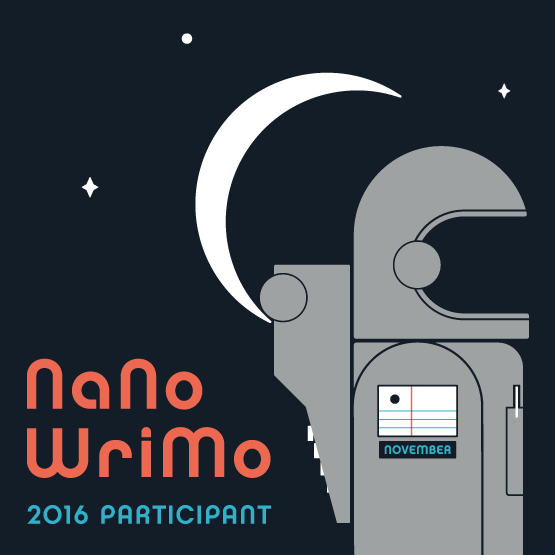 Yes, the month of November has come and gone, but that doesn't mean that the NaNoWriMo challenge has come to a halt as well. Fifty thousand words is an admirable achievement, but that alone does not make a novel. Here are the steps I go through after November is over before I consider my manuscript to be 'finished'. Yes, 50k is a lot of words, but novels tend to be longer than that. In reality, 70k to 100k words is really the sweet spot. Yes, there are novels shorter (and longer) than that. Every writer will say that a story should be exactly as long as it needs to be. But in the end, I find it hard to tell an entire story in just 50k words. So once November is over, I'm still writing. Once I have a finished the first draft, I put it away and try not to think about it. For me, I can usually last two weeks before I need to get back to my novel and start revising. Before making any corrections, I read through my first draft, start to finish. I take notes on major plot holes, character inconsistencies, and scenes that should be added or cut. Until I read 'The End', I don't make a single edit to my novel. Now that I've identified the big changes needed, I implement them in my novel. A lot gets rewritten. Fluff gets slashed and missing description and world building are added. When I'm done, the second draft will be a cohesive story that should make sense to people other than just me. Just because it makes sense doesn't mean it's ready for others to read. At this point, there are lots of grammar mistakes, sentence structure issues, misused homonyms, and overused words. Since I've been staring at a computer screen for so long, I'll print out the current draft and do line edits on paper. It's much easier to see mistakes that my eyes glossed over using a different medium. Just a side note, I do recycle. Once two passes of edits are done, I ask other people to read through my book and share their reactions and make suggestions. For this part, you have to use someone who will be honest about your work. I rely on strangers. Someone who doesn't know me won't be worried about my ego and that gives much more useful feedback. I usually aim for three to five readers so I'm not bogged down with too much feedback, but can also see what might be personal preference vs weak parts of my book. And since it takes readers time to get back to me, I'll start drafting something new. Keeping in mind what my beta readers have said, I revise again. This pass can be hard. Although I trust readers feedback, I have to dismantle and rebuild parts of my novel that I personally really liked. However, once these weak parts are revised, I'm much happier with my story. I tend to err towards using a professional for this step. If you know someone who is an excellent proofreader and can get through a novel in good time, then by all means, ask them. This is the point where I finally consider my manuscript to be finished. Other writers may use different steps, but to get the best quality novel, it takes time. Getting through all of these steps takes more than a month. I'm hoping with experience, I'll be able to move through them a little quicker. Once all of this is done, I'm ready to move onto the next phase: formatting, which is a discussion for another post entirely.